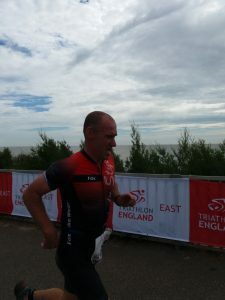 Gary Malliband travelled to Clacton to take part in the Standard Distance Triathlon. The event which raised money for the Brain and Spine Foundation consisted of a 1900m choppy sea swim, followed by a 40k bike and 10k run. Gary finished in 2:28:43 to secure 9th place in his age group.